We worked closely with former US law enforcement and a scientific team from Talin, UK to develop and build the logo and brand for Nartest Technologies. Nartest developed a product utilizing the applied science of photospectroscopy that identified drugs in a fraction of the time of conventional testing. 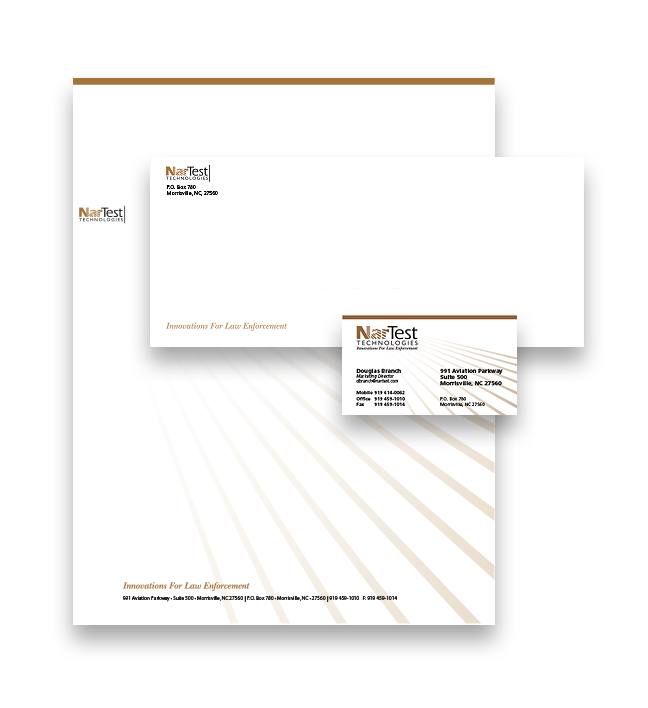 EBC developed the logo, the standards & brand usage and all of the print literature for NarTest. From specialty promotions to Trade Show booths we utilized those standards to insure consistent perception of the brand in every medium. The NarTest faced a challenge of being accepted as a scientifically accurate test to be used in a evidentiary capacity. Part of that challenge was to provide judges, jurors and prosecuting attorneys a working man’s explanation of the device and how it worked. We worked directly with the NarTest scientific development team to write a script and develop this presentation.